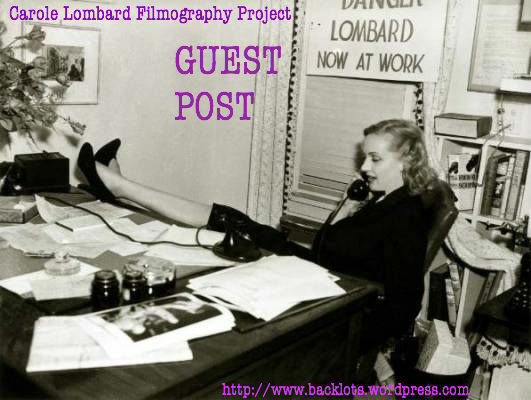 A few days ago, I received a message in my inbox from Dan Day over at The Hitless Wonder Movie Blog expressing interest in writing a piece on Vigil in the Night (1940) for the Carole Lombard Filmography Project. I am happy to have Dan as the CLFP’s first guest post! If you have any pieces about Carole that you would like to submit to the project, please email your piece to fowler.lara@gmail.com along with your name, website, and some brief biographical information so we can get to know you! I welcome any and all pieces related to Carole’s life and career, and look forward to supplementing this project with reader input. Here is Dan’s post. Enjoy! “Vigil in the Night” is a film that does not have a huge reputation, even among Carole Lombard fans. Most books and articles written on the actress barely mention it, and even the fact that the movie was directed by the acclaimed George Stevens doesn’t seem to help it. Despite the fact that “Vigil” is not a great film–it’s a somewhat depressing soap opera–it contains one of Carole Lombard’s most underrated and overlooked performances. 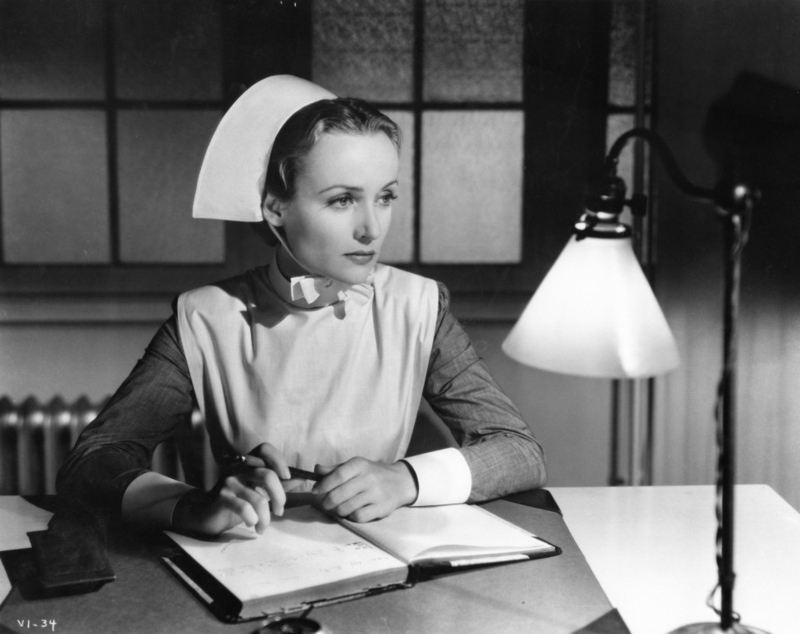 Lombard plays Anne Lee, a quiet, dignified English nurse. Despite her integrity and professionalism, Anne winds up in one major crisis after another, most of them involving her irresponsible sister Lucy (Anne Shirley). Along the way, Anne meets up with the ultra-noble Dr. Prescott (Brian Aherne). Anne and Prescott are drawn to one another but the both of them are too dedicated to their profession to really become a couple. As mentioned, “Vigil” is very much a medical soap opera, and it is heavy going at times. Most of the plot revolves around sick children (a major epidemic makes up the film’s climax). This is certainly a long way from the “fun” movies Lombard made in the mid ’30s. This is probably why Lombard fans have never really warmed to it. Her character is nothing like the usual Carole role. Anne Lee’s self-sacrificial nature may be a bit hard to swallow for a 21st Century viewer. But Carole makes Lee’s actions totally believable. Lombard is brilliant here. Her accent is perfect–but it’s not just the accent that makes her English. Lombard’s whole manner, her body language, her speech patterns, are of a decent, dedicated, responsible professional. It may not be the Carole that her fans wanted to see, but her performance perfectly suits this story. If the film had a better script, or had been better received, Carole could have very well gotten an Academy Award nomination. This film was made during the period when Carole was doing very different work than she had before. Other films she appeared in around this time include “Made for Each Other”, “In Name Only”, and “They Knew What They Wanted”. These films–and “Vigil”–are usually not considered among her best work, but they show that there was more to Carole than just wild comedy. They also show that Lombard was aware that the Screwball Era was over, and she had to try other roles and other types of stories. Vigil in the Night” is not a BAD film….it’s very well made, with capable direction by George Stevens. It has a believable English “look”, courtesy of the technical departments of RKO. The supporting cast is fine. Mention must be made of a very young Peter Cushing, who has a small role. He would later become famous for his roles in several Gothic horror films. The main problem with “Vigil” is the heavy-handed dramatics. One gets the feeling that RKO was trying to make an “important” film. That being said, “Vigil” is worth a look for any true Carole Lombard fan. It contains one of her best performances, and proves that Lombard was not just a funny, beautiful woman–she was a great actress, period. “Vigil in the Night” is available on DVD-R from the Warner Archives. This entry was posted in Lara Gabrielle Fowler and tagged carole lombard, rko, vigil in the night, warner archives. Bookmark the permalink. Thanks, Lara, for making my post look so great! Thanks for shining a light on a film I haven’t had the chance to see with your interesting take on it. Thanks Page. I would love to hear what a real nurse thinks about the film….I’m certainly no expert on the medical profession. My pleasure, thanks for your great post! Thanks for mentioning this previously unnoticed film. I’m a big fan of Carole Lombard, and have not seen this one before. Lombard, playing one of novelist A. J. Cronin’s ultimate heroines (Cronin himself was once a physician), had her own brush with hospitalization just after filming began in July 1939. Production had to be stopped for six weeks as a result of her acute appendicitis. Filming recommenced at the end of September with the rest of the cast intact, finally wrapping on November 30. While the film was certainly not hailed as an instant classic when it opened to mixed reviews in May 1940, it is still significant for being one of the earliest examinations of the nursing profession ever devised for the silver screen. It is also quite beautifully directed by Stevens who was still riding high from his previous RKO success, “Gunga Din”. Child star Donnie Dunagan (familiar to audiences from “Son of Frankenstein”, 1939) is featured in some of the sick ward scenes. Newcomer Peter Cushing was lauded by critics and compared to a young Spencer Tracy for his performance (Cushing himself faced a serious medical problem shortly after finishing work on the film — an infection in his heel that threatened the loss of a leg). Lombard and Aherne are ably supported by Anne Shirley, Robert Coote (who was also dialog director) and English stage veteran Ethel Griffies. Lombard would only make three more films before her untimely death in an airplane crash in January 1942. Of those three, the classic Ernst Lubitsch comedy “To Be or Not to Be” (1942) with Jack Benny restored her status with audiences as one of the funniest and most luminous screen icons of all-time. This may be minor-Stevens and minor-Lombard, but definitely worth a look.